Financial reporting is an integral part of every organization. Financial statements and related financial information help owners and managers make operating decisions, enable banks and creditors to evaluate credit applications and provide individuals with information to make investment decisions. Our assurance services not only provide credibility, but also enhance your financial reporting by the personal attention and business advice we provide to each of our clients.  Lutz’s assurance team is trained to examine not only the facts and figures, but also the implications of both current and future transactions. Thus, our assurance services provide benefits that go far beyond the compliance function. We provide credibility to your financial reporting while searching for opportunities that will increase profitability and efficiency within your organization. Our clients understand that we are committed to integrity and ethics. We emphasize independence and objectivity to ensure we maintain a high level of confidence in the assurance services we provide. We offer a tailored approach which is achieved through regularly scheduled meetings, early planning and knowledge of your business functions. This helps us identify key areas that enable us to tailor our procedures to the unique aspects of your business. The result is an effective and efficient service performed in a timely manner by highly qualified professionals. Our personnel must confirm their independence annually for all assurance clients. We require a high level of partner and manager participation on every engagement. We require a concurring partner review of all financial statement engagements. We have received a passing report from our profession’s “Peer Review” process since the inception of our firm. We inspect our own internal files annually to ensure compliance with our high standards. We are committed to providing continuing professional training to our professionals. We utilize a paperless approach to provide effectiveness and efficiencies.